The magical nanny Mary Poppins will be played by newcomer Nicole Armold, and the loveable jack-of-all trades Bert will be played by Jeff Award winner Matthew Crowle. The production will be led by Jeff Award Winners L. Walter Stearns (Director), Eugene Dizon (Music Director) and Brenda Didier (Choreography). The show plays from March 29 through May 28. ChiIL Mama will be there for the press opening is Friday, April 7th, so check back soon for our full review. MARY POPPINS runs approximately 2 hours including a 15-minute intermission. 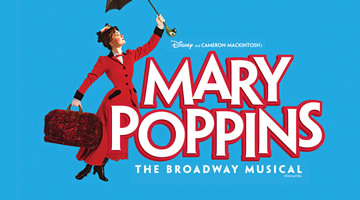 We recommend that children be at least six years old to attend a performance of MARY POPPINS.